37 years separate these two magazine covers which have just come my way. 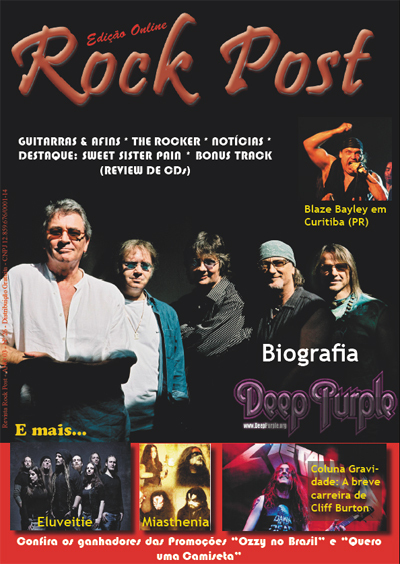 Stuart Hamilton spotted the February 2011 issue of the Portugese language Brazilian magazine Rock Post, which has a standard shot of the current line-up on. This photograph and a few others were sent out by a publicity company a while ago and have cropped up everywhere since. This saves the band having to get together for photographers over and over again, something they probably feel they’ve spent enough time doing over the last fifty years in one band or another. But while it certainly removes the chore, it does mean fans see the same image repeated until you’re fed up of seeing it. In total contrast is Fab Magazine from 1974, which sports a group shot which was new to me. The scan came from Bernt Kuepper who found this obscure magazine recently and spotted right away that it was taken on a balcony over-looking Cologne Railway Station (a location he knows well). He thinks it must have been taken in 1970, and I tend to agree, based on what their wearing. We’ve no idea who took it, although as the magazine is mostly full of press shots, it seems likely to have been done by the record label – though obviously it ws a little out of date by the time the magazine got to use it. Anyway, great to see it Bernt. Have Fab 208 dated 17th April 1971 with DP article “Purple passage” and colour middle poster inside. 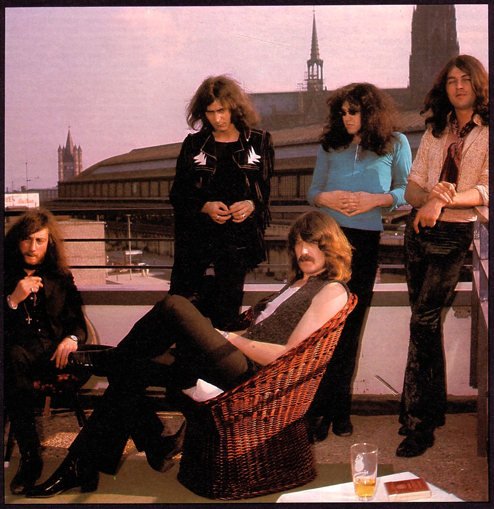 They played some shows in Cologne in the 70s, but moreover they came to Cologne time and again because the German EMI headquarters is located there. Many thanks for the upload. Never saw that fab magazine before. Any chance to get an upload of the full article? Would be appreciated. They played in Cologne on 4th April 70 (when Ritchie amp broke and lead to the Mumblin Things Blue song and Ritchie apologising to the audience for his gearing braking down!!) and the 6th June 70 their next gig there was in 73, so the picture may have been from around either of the 70’s dates? Awesome shot! The Band all look very nice here. Wonder whose Beer and Cigs are set in front of them? Little Ian being the only constant. 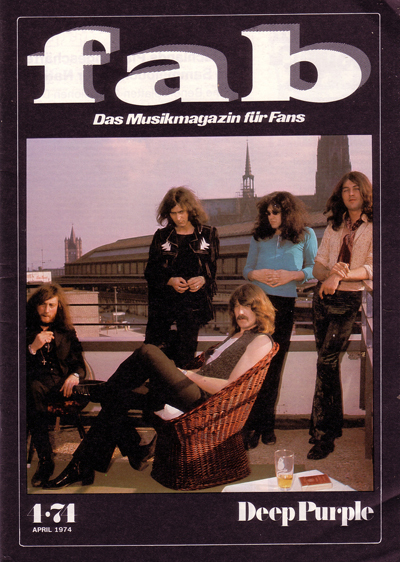 Deep Purple on the cover of Fab magazine. Wow, did Deep Purple ever make the cover or pages of FAB 208 (respected British fashion & music mag of 60’s & 70’s)? Great to see Ian Paice with so much hair too!! I don’t recall DP in Fab 208, though they may have done. I have seen pin-ups of them from the rival magazine Jackie circa 1970 which are great rare shots.